It&apos;s 2 a.m., and tomorrow morning you have a HUGE test to take in the morning...but you&apos;re wide awake. Not because you&apos;re nervous, but because the neighbor next door is testing the limits of his new sound system. What do you do?? Don&apos;t sweat it! We have 5 GREat tips on how to deal with a noisy neighbor. We&apos;ve all been there at one time or another, right? And if you haven&apos;t experienced this annoyance maybe you&apos;re the loud neighbor! 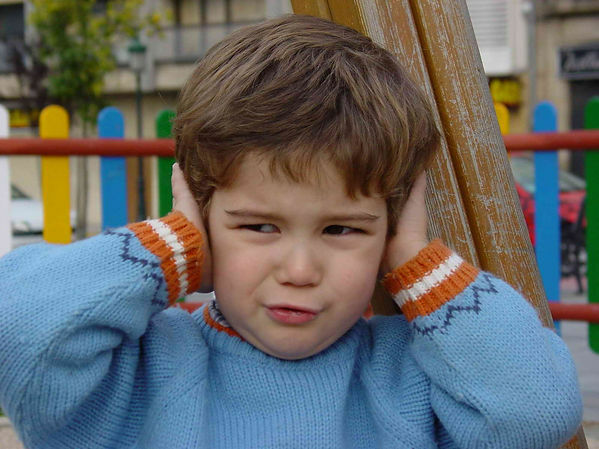 With help from ApartmentRatings.com, we have put together some tips on how you can deal with a noisy neighbor. #1 - Do NOT call the police. Calling the police should never be your first step to resolve conflict. In fact, this may create more problems long term. #2 - Knock on the wall closest to where the loud music/noise may be coming from. Sometimes, that &apos;s all it takes! Maybe your neighbor doesn&apos;t know you&apos;re home or doesn&apos;t realize how loud he is jamming "Easy Street" by The Collapsable Hearts Club! (song played on The Walking Dead while Daryl was in the cell) #3 - Talk to your neighbor NICELY, don&apos;t be accusatory, don&apos;t be angry. Depending on the relationship you have with your neighbor you can knock on the door when you know they&apos;re home and talk calmly about the noise/music. Tell them about the noise and ASK them politely to turn it down or refrain from rockin&apos; out too early or too late. And if you don&apos;t know your neighbors or don&apos;t have a great relationship with them, write a nice note explaining the issue, and again, ASK if they can help you resolve the issue to both of your satisfaction. #4 - Buy headphones or turn on a fan, something to help reduce or mask the noise. Generating a little noise of your own might help drown out their noise. #5 - Contact the superintendent or leasing agent to see if you can get some help. And if that doesn&apos;t help - you can ask to move to another unit, maybe on a higher floor! Again though, calling the police should only be a LAST resort if you&apos;ve tried all other measures and the noise/music just won&apos;t stop (especially at night!). But remember, calling the police on your neighbors only creates animosity, bad feelings, and may only cause the problem to worsen.Be kind, be nice, but be firm! You both have to live here...might as well be friendly and accommodating, right?Do you have any tips to share with us on how to take care of a noisy neighbor? If so, comment and let us know!Thanks!